Edit 1 is a comfortable and spacious creative editorial, finishing and color grading suite that will meet all of your high definition and standard definition video requirements. Utilizing a fast MacPro computer with AJA Kona 4 hardware, this non‐linear workstation handles 4K, HD and SD formats. This suite features the Avid Media Composer, Adobe Creative Cloud apps, Final Cut Studio and an assortment of other graphic, editorial and encoding software. Monitor your HD and SD footage on a Sony BVM-D24EWU 24″ CRT monitor and a 50″ Panasonic True 1080p HD/SD plasma display. 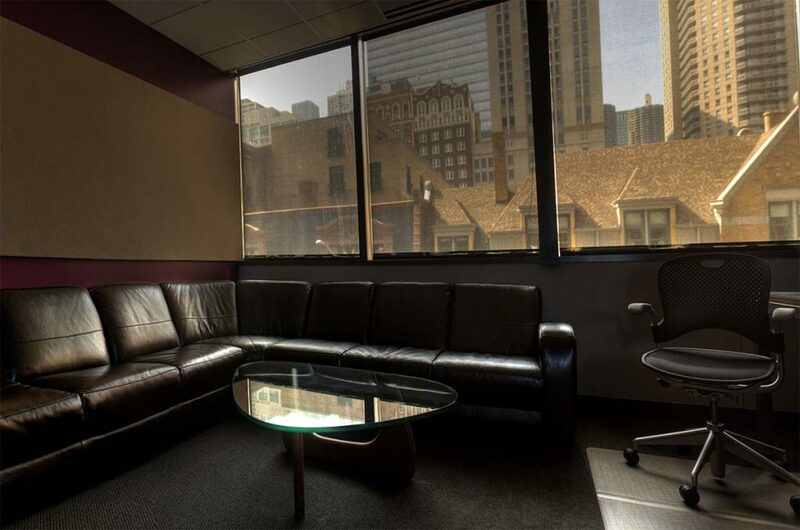 We have plenty of RAID data storage and a comfortable couch, chairs and tables for clients. 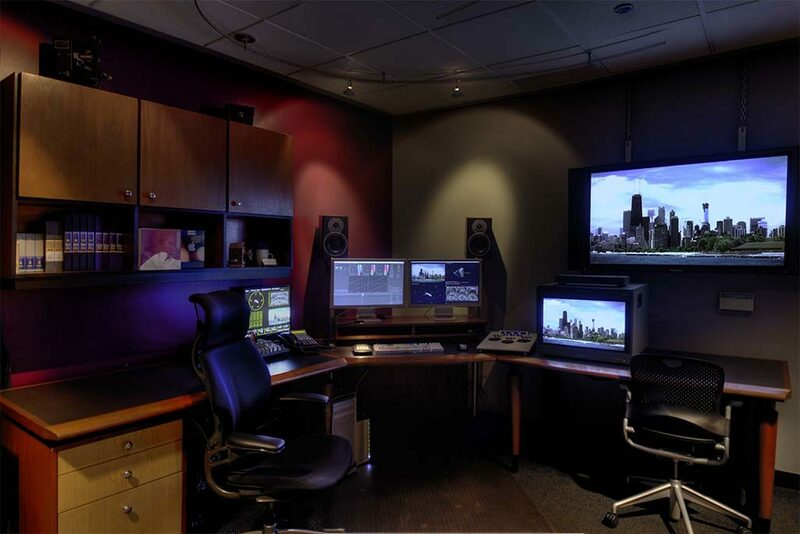 Our edit suite is also available for rent. 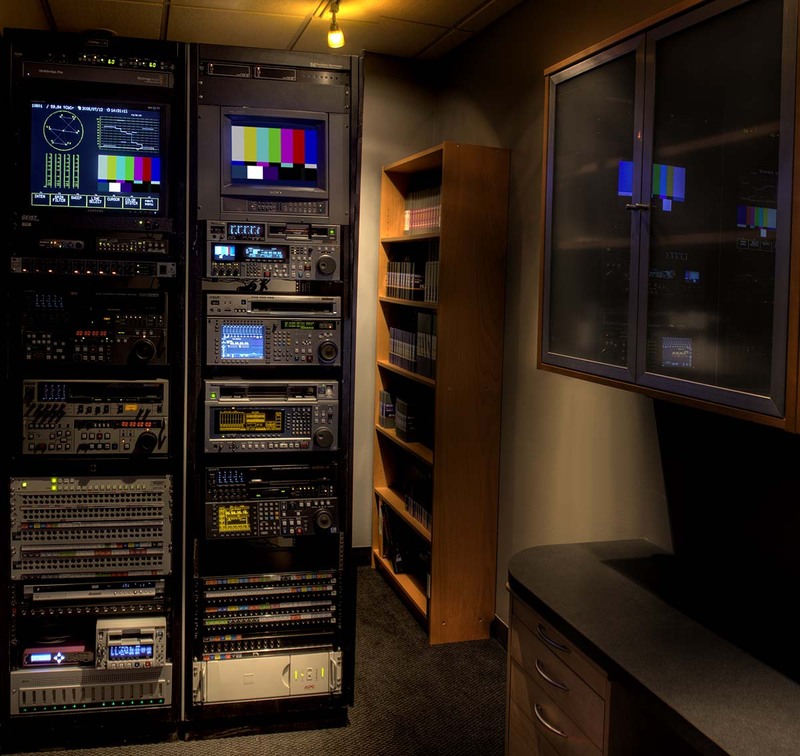 Our machine room is stocked with Sony decks — HDCAM-SR, HDCAM, Digibeta, Beta SP and DVCAM — as well as a fully functional Kona 3 editorial and graphics workstation, 14” CRT HD monitor, RAID and waveform/vectorscopes. Supporting hardware includes a Teranex 2D converter, AJA FS1 converter and a video legalizer. 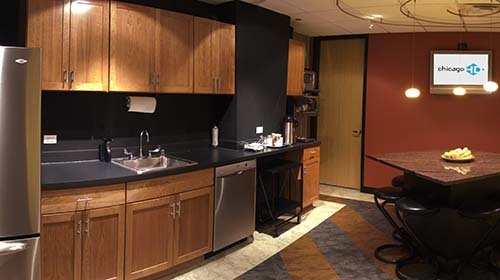 Our modern, full-service kitchen is a large gathering place stocked with goodies. No matter what time of day or night it is, you have access to food, drinks and appliances to keep your creative juices flowing. 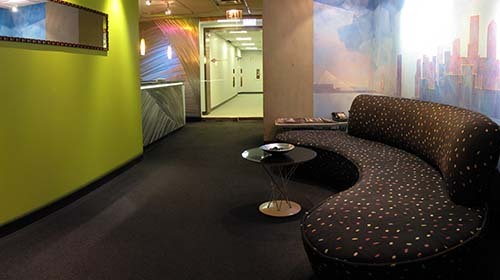 The reception area has plenty of room for receiving, relaxing and doing business. 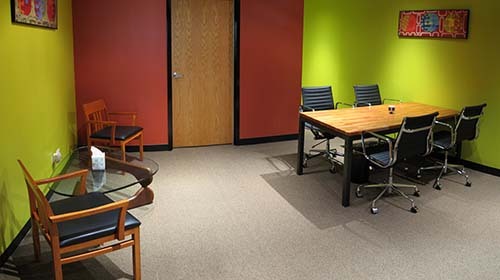 Collaborating with clients and colleagues is comfortable and convenient in our professional studio setting. Our semi-private meeting space is perfect for conferring with colleagues, private phone calls or just getting away from the edit suite.